Unlock the full potential of mobile banking applications with e-signatures! Mobility has turned every industry on its head, and mobile banking has quickly become a key requirement for financial services firms looking to create a better customer experience and tighten relationships with customers. But not all banking institutions know how to fully leverage the power and flexibility of mobility; in fact, some don’t even know how to get started. For them, every day they fail to provide suitable mobile banking capabilities – especially by utilising e-signature technology – is a missed opportunity. Register today for this free webinar for a discussion around how to utilise e-signatures to unlock the full potential of mobile banking applications. create upsell opportunities using e-signatures and biometrics. The webinar has now taken place. 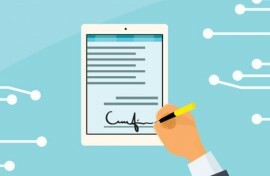 Move beyond the electronic payment: how well do you know E-Sign? E-Sign can save you the cost of many hundreds of thousands of first-class mail stamps. 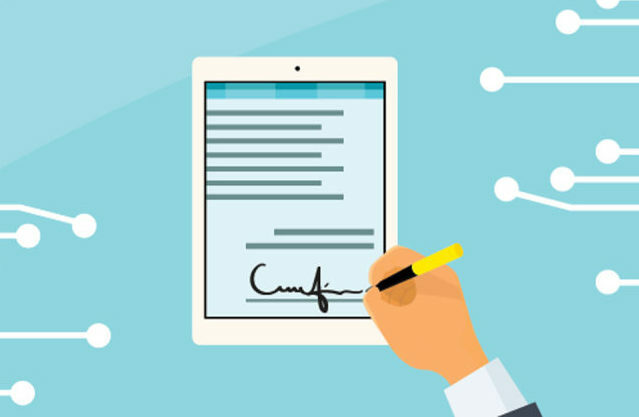 Get an introduction to the world of e-signatures through this comprehensive guide. Learn the top use cases, best practices and key requirements for Australian banks of all sizes. Mobile exploits come of age, and focus turns to improving customer experience. Last week (12 October 2017) was Diebold Nixdorf’s latest seminar at the Okura Hotel in Amsterdam. Accompanied by representatives from ING, Franz Informatik and Forrester. The first conference of the morning focused on shaping the future of banking. Free webinar exploring the latest and greatest ways leading banks shield themselves against the threats. It turns out, banks can gain a lot from business tools. That’s probably why business solutions company Vasco and financial services software company Finastra teamed up.